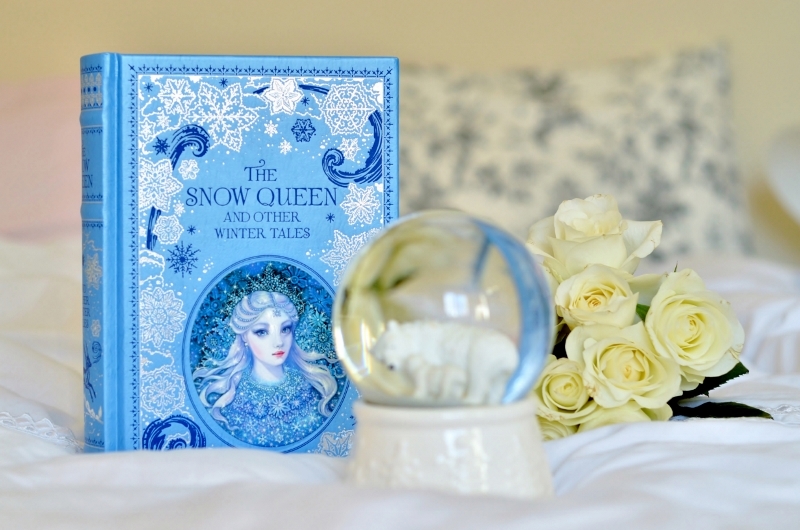 Who would not know the classic story of the Snow Queen from a pen of renowned Danish storyteller Hans Christian Andersen? It belongs to the most beloved stories of mine. And I am also a huge fan of the film that was based on this tale in 2002. There is something in the story that just grubs my heart. Something that induce goosebumps on my skin. It is frightening but in the very impressive way. It is also romantic and adventurous too. 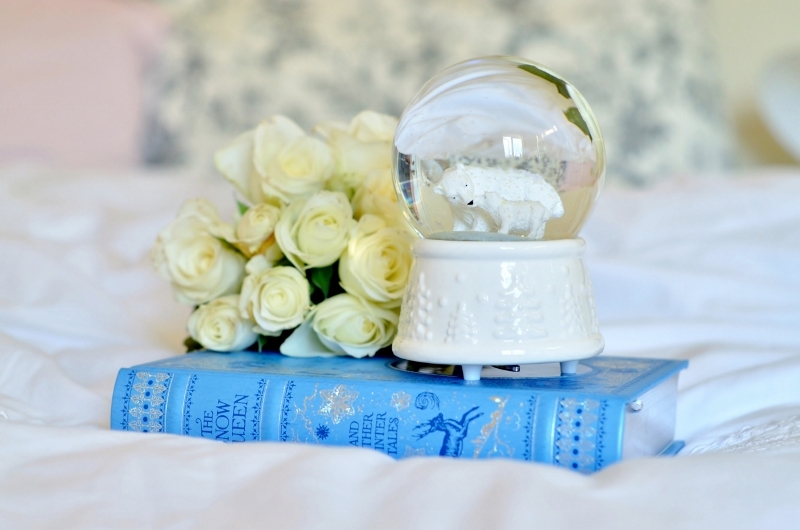 And then the story is beautifully told therefore the reader find himself completely lost in it no matter how old he is. 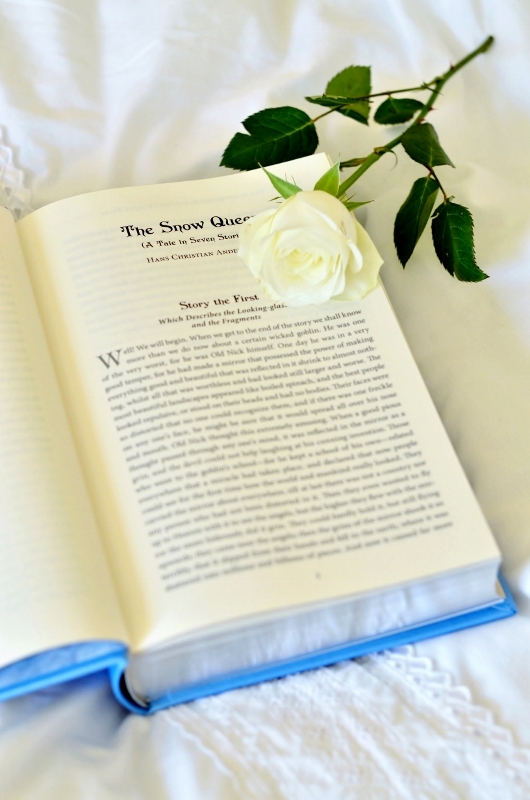 The Snow Queen is an original Danish fairy tale which was written by Hans Christian Andersen and was first published in 1844 on 21st of December in a book called New Fairy Tales. And one hundred and seventy-one years later this well-known story opens a beautiful book full of winter tales published by Barnes & Noble Leatherbound Classics thanks to which today's readers can enjoy this beauteous story about Kai and Gerda again. "I can give her no greater power than she has already, said the woman; don't you see how strong that is? How men and animals are obliged to serve her, and how well she has got through the world, barefooted as she is. She cannot receive any power from me greater than she now has, which consists in her own purity and innocence of heart. If she cannot herself obtain access to the Snow Queen, and remove the glass fragments from little Kay, we can do nothing to help her." Sněhová královna je původní dánská pohádka napsaná Hansem Christianem Andersenem, jež byla poprvé vydána 21. prosince v roce 1844 v knize zvané New Fairy Tales. A nyní - po sto sedmdesáti jedna letech - tento tolik známý příběh znovu ožívá v nádherné knize plné zimních povídek vydané nakladatelstvím Barnes & Noble Leatherbound Classics, díky které si mohou příběh Kaie a Gerdy opětovně přečíst i dnešní čtenáři. Veronika krásne fotografie. Tvoj blog sledujem už dlhšie a vždy žasnem nad tým ako vieš vystihnúť ten správny pohľad, moment. Proste fotky sú parádne. Páčia sa mi aj Tvoje príspevky. Knihy milujem, čítanie je pre mňa ako slnečné lúče, potrebujem si prečítať denne aspoň pár stránok. Momentálne čítam Jane Eyrovú a som z nej nadšená. Je to tak nádherne napísané, opisy sú tak presné a živé. Chcem Ti popriať nech sa Ti darí v Anglicku, aby si našla svoje šťastie a budem sa tešiť na všetky nové príspevky a fotografie. A ešte ďakujem za prijatie priateľstva na fcb.